888 Dragons is a classic slot powered by Pragmatic Play, an innovative and successful software developer that tends to choose interesting topics for their games. This is certainly the recipe they used in 888 Dragons, since the game represents a blend of old-fashioned and modern. The Oriental-themed slot, resembling a traditional fruit machine, boasts a modern design and symbols based on the Chinese culture. The Dragon and number 8 dominate the reels and stand for wealth and fortune. Though the gameplay lacks special symbols and bonus features, it offers handsome prizes of 100x your bet and a feel of simplicity that will please those who are nostalgic about one-armed land-based machines. The design is basic and there are only sounds of reels spinning and coins falling. 888 Dragons is a 3-reel slot with a single payline to place your bets on. The interface is easy to access and navigate, so once the game loads you can set the number of coins per line from 1 to 10 in the Bet Menu. Here, you can also adjust the coin value to be as low as $0.01 and up to $0.50 which will mostly suit those who prefer to wager smaller sums. To spin the reels, press the Spin button or activate Autoplay where you can select to keep the rounds going automatically up to 100 times. As far as symbols are concerned, there are only 3 of them. Red, green and blue dragons forming an 8 shape must appear on consecutive reels on the payline to award prizes. 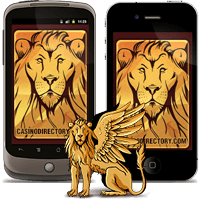 The red dragon is the most profitable icon delivering 100x your bet for 3 on a payline. Green and blue dragon symbols pay 50x and 25x the bet respectively for 3 of a kind. Hitting 3 dragons of any color on the payline will grant you 5x the bet. 888 Dragons doesn’t have Wild or Scatter symbols and there are no Free Spins, nor any other kind of a bonus feature which is certainly a drawback of this slot since it would offer greater winning chances and make gameplay more exciting. This type of slot is definitely for those who enjoy a calm and simple gameplay and are patient enough to wait for symbols to hit the payline. 888 Dragons is playable on all devices, mobile, tablet and desktop. With a quite high RTP of 96.84%, this slot is certainly worth trying out.